Classic styling with decorative gold tooling on simulated leather side panels. Includes one sheet of gray blotting paper and a clear protector sheet. 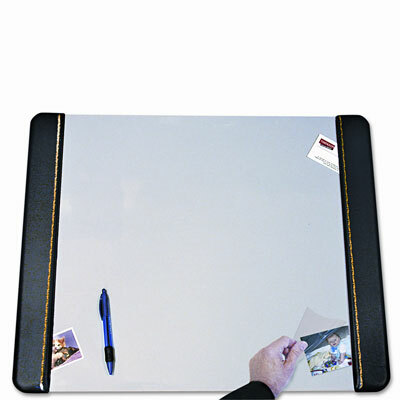 Protect and decorate your work surface with the distinguished style of a desk pad. Traditional design makes it perfect for home office or business use. Classic styling with decorative gold tooling on simulated leather side panels. Firm center. Includes one sheet of gray blotting paper and a clear protector sheet.